The traditional physical library has survived several centuries, served as a shelter for people to surf in the knowledge ocean. However, it is facing with an unprecedented challenge that library stuffs suffer from stress on library management and patrons encounter various problems for borrow/return books. At Intech, it has unveiled an advanced Distributed Smart Library Solutions aiming at solving these obstacles. 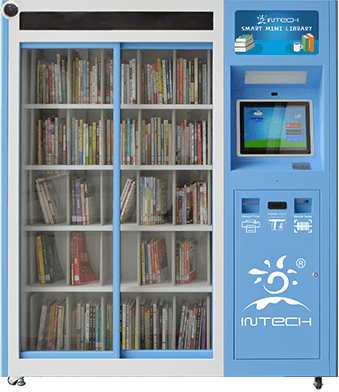 Intech Distributed Smart Library Solutions involve 24h self-service library, smart mini library, smart book cabinet and library management system. 24h self-service library, just as its name implies, it offers the unmanned 24/7 library service attracts hordes of patrons to immerse in the reading enjoyment. When permitted to enter it, you will see a smart and comfortable learning zone that is well equipped with an array of intelligent devices, including smart bookshelf, self-service kiosk, RFID security gate, e-books machine, etc. It not only enable patrons to self-check in/out, and but also make an intelligent adjustment on the light, humidity, temperature, etc. As a result, it gives the best service to the patrons and enhances their satisfactions. 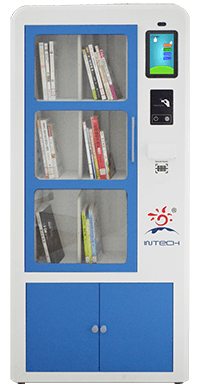 Intech smart mini library is a full-service solution with 24/7 access. It is so amazing that makes library in a box, where can hold more than 300 items. When the patron’s identification is verified on the data base, he/she is allowed in. Patrons can borrow the popular books and return them at any convenient stations as well they can renew the expired items or reserve for the later pickup. The relatively small investment on this equipment can extend its branches to everywhere, such as the hall, corridor, etc. Smart book cabinet is smaller than the smart mini library to be installed in the classroom, which is extremely convenient to the users. It serves a few purposes. There are more than 80 books to choose from. Users can check in, check out, renew and reserve within a few seconds with their fingers. It helps to increase the library items circulation, ensure the security of items, provide detailed analysis and make items more accessible. 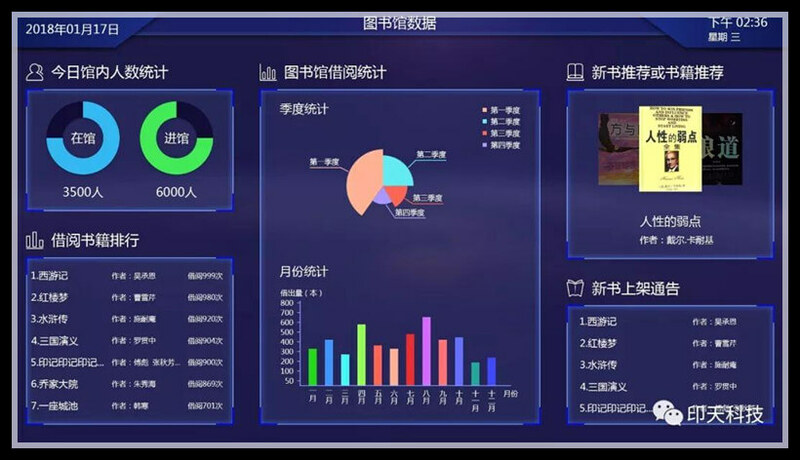 Intech library management system is used to provide all kinds of data like the total collection amount, popular library items list, library circulation, the latest books, the running status of devices, etc. It allows librarians to collect the real-time data, improve the librarian’s efficiency and cut down the maintenance cost. 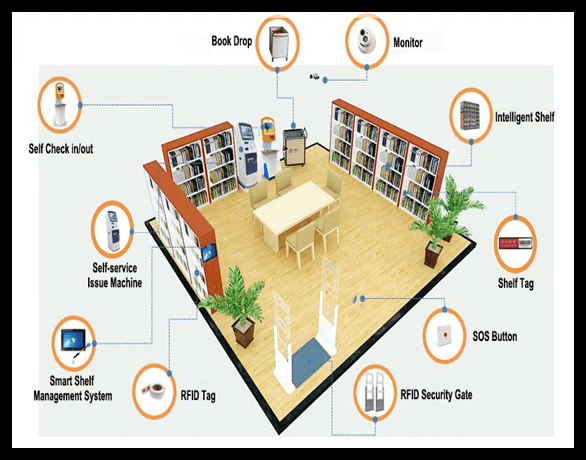 The four parts of Intech distributed smart library solutions mentioned above are complementary, which are suitable for the reform of existing library and construction of smart library. It will improve the library staff’s efficiency and boost the reading interest of students. Previous：Why Cost 200 AED for GITEX? Contact Us for Complimentary!